One of Ottawa's first accessible taxi drivers says high costs and a lack of support from the city are prompting plate owners to give up on the business. Fourteen accessible taxi plates have recently been returned to the city by drivers who have decided to call it quits, according to Mahmut Mahmutoglu, a number verified Monday by the city. "Accessible drivers today are at a boiling point. They are really frustrated. They have been burdened so much that they're all willing to drop these accessible plates en masse in front of the city and completely quit, get out of this business," Mahmutoglu told CBC. He was one of 25 owners chosen through a lottery in 2001 to receive an accessible taxi plate. Currently, 177 of the taxis on Ottawa's roads — about 15 per cent of the fleet — are accessible, and for the past decade, the city has only issued accessible taxi plates. When Uber and Lyft were legalized in Ottawa, cab drivers were incensed to discover the ride-hailing upstarts wouldn't be required to provide accessible service. Instead, the companies agreed to pay a voluntary surcharge that the city is using to improve accessible transportation. But Mahmutoglu said none of those measures are helping licensed drivers. He said accessible taxis are more expensive to operate than regular licensed cabs because plate owners have to pay between $15,000 and $18,000 to convert their vans to accommodate passengers in wheelchairs. In addition, Mahmutoglu said maintenance and higher fuel costs, combined with expensive insurance, are making the business untenable. "If you want this service to survive, you need to make [the plates] transferrable down the road. We cannot do that. There is no incentive anymore for anybody to take it over," Mahmutoglu said. He has written a letter of grievances including a list of six recommendations that he plans to deliver to city councillors and the mayor. Full reimbursement of the conversion cost of wheelchair-accessible vehicles. Elimination of the city's plate transfer fee for accessible taxis. A $20 levy, subsidized by the city through its accessibility fund, for each accessible trip. 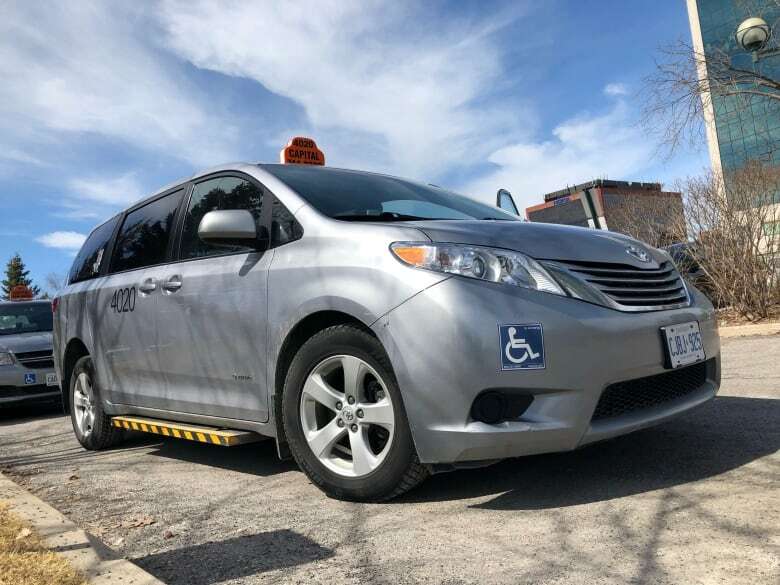 Recently, city bylaw officers began cracking down on drivers of wheelchair-accessible cabs who aren't always available for customers who need them. 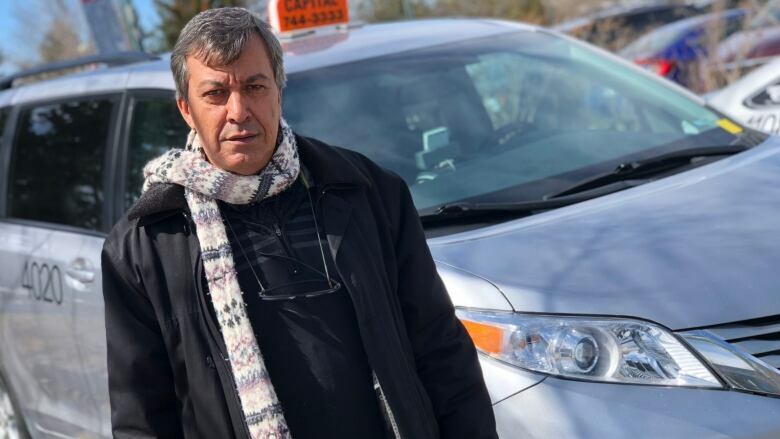 The taxi bylaw stipulates that any accessible cab must be on the road at least 10 hours a day, five days a week, but Mahmutoglu said some drivers are making the economic choice to avoid accessible calls if they know they can get another standard fare nearby. Bob Brown, who uses accessible taxis regularly, is worried the service will collapse if the city fails to fix the problem. Brown said he has mixed emotions about the tickets being issued to drivers because he doesn't want to be left without a ride, but also understands the challenges they're facing. "We have to make it worth their while to be able to do [this]. You want them to feel like they want to take that call," Brown said. He's filed a complaint with the city auditor alleging the funds collected through the accessibility surcharge are being misappropriated. In a written statement, Roger Chapman, the city's director of bylaw and regulatory services, said complaints about the alleged violations of bylaw requirements have led to a number of ongoing investigations. He said allocation of the money collected through the vehicle-for-hire accessibility fund was determined following a series of public consultations. "The funds are intended to be used to offset costs for a number of programs supporting accessible transportation, including but not limited to enhancing the taxi coupon program," he said, referring to the program that allows Para Transpo users to take accessible taxis at a discount. On Monday, the city said it's in the process of re-issuing the accessible plates that have been returned to applicants on a waiting list that's currently sitting at 232.